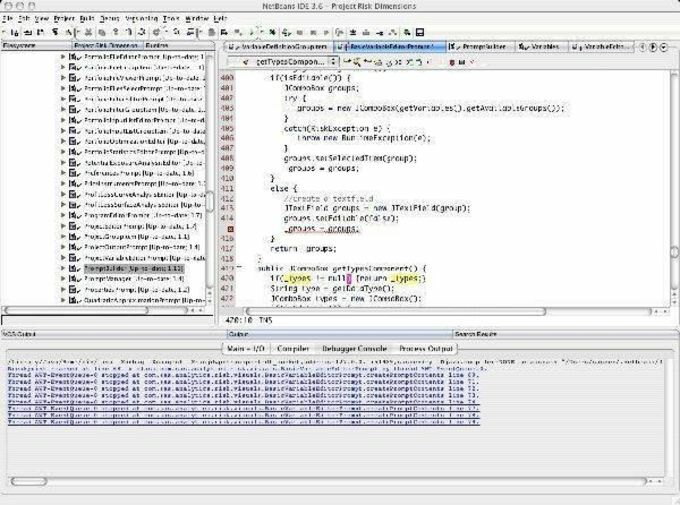 NetBeans is an awesome, free (gpl) Mac program, belonging to the category Development. The software version is 6.9 and its last update was on 6/16/2010. It's available for users with the operating system Mac OS X and previous versions, and it is only available in English. Since the software joined our selection of programs and apps in 2000, it has already reached 35,220 downloads, and last week it achieved 30 downloads. About the download, NetBeans is a fairly light program that doesn't need as much free space than the average program in the category Development. It's very heavily used in many countries such as India, China, and Philippines. Java programmers require a fast and fully-featured Integrated Development Environment (IDE) with support for Java(TM) compliant applications for accelerating development across all major OS platforms. NetBeans.org provides an open source, high performance, modular, extensible, multi-platform Java IDE to accelerate the development of Java applications, web services and mobile applications. What do you think about NetBeans? Do you recommend it? Why?